French Creek Elementary School collected 3,825 pairs of shoes for Funds2Org. The shoes are taken to underprivileged countries to help families begin their own businesses. We want to thank our community for coming together to help us make this fundraiser a huge success! 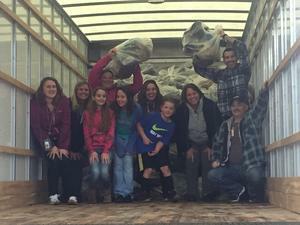 Parent volunteers, students, faculty and staff worked together to collect, bag, and load the shoes. French Creek Elementary School will receive $0.40/pound of shoes collected to help send students on various field trips around our wonderful state.